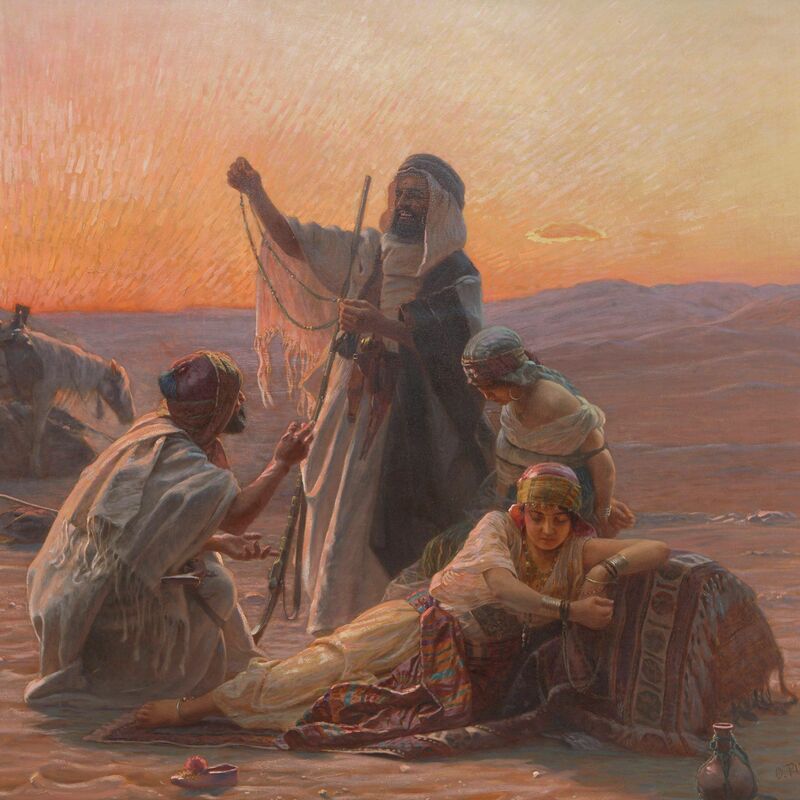 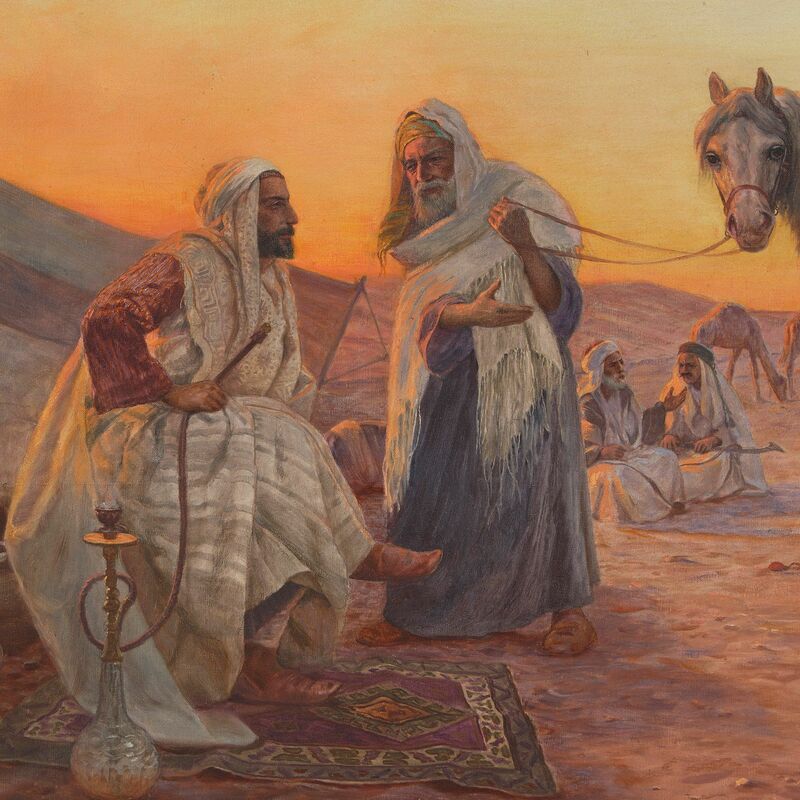 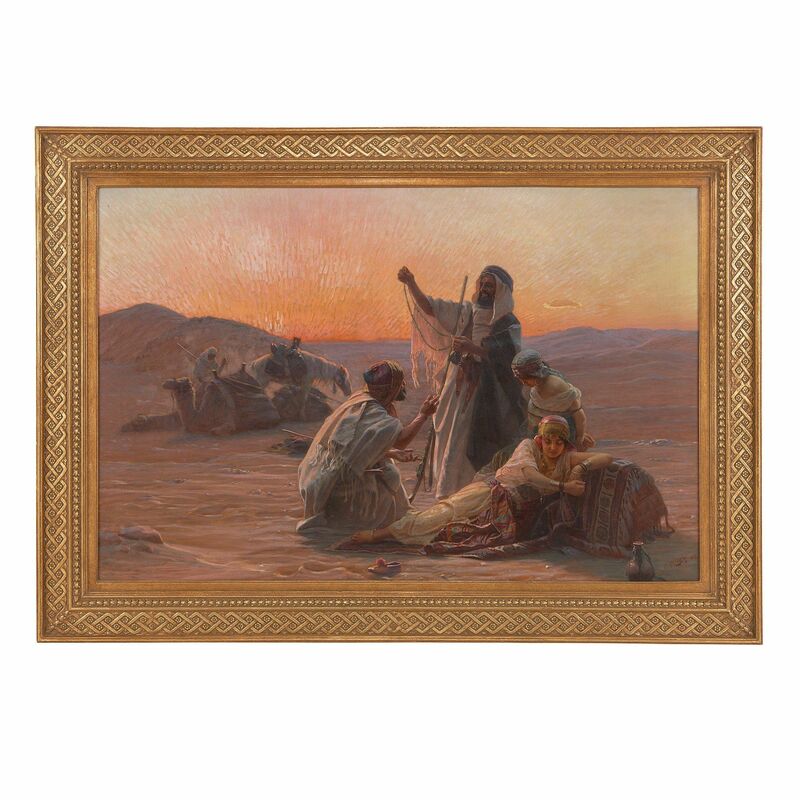 These exceptional oil paintings encapsulate Pilny's Orientalist style and his preferred theme, the simple beauty of Bedouin life in the desert. 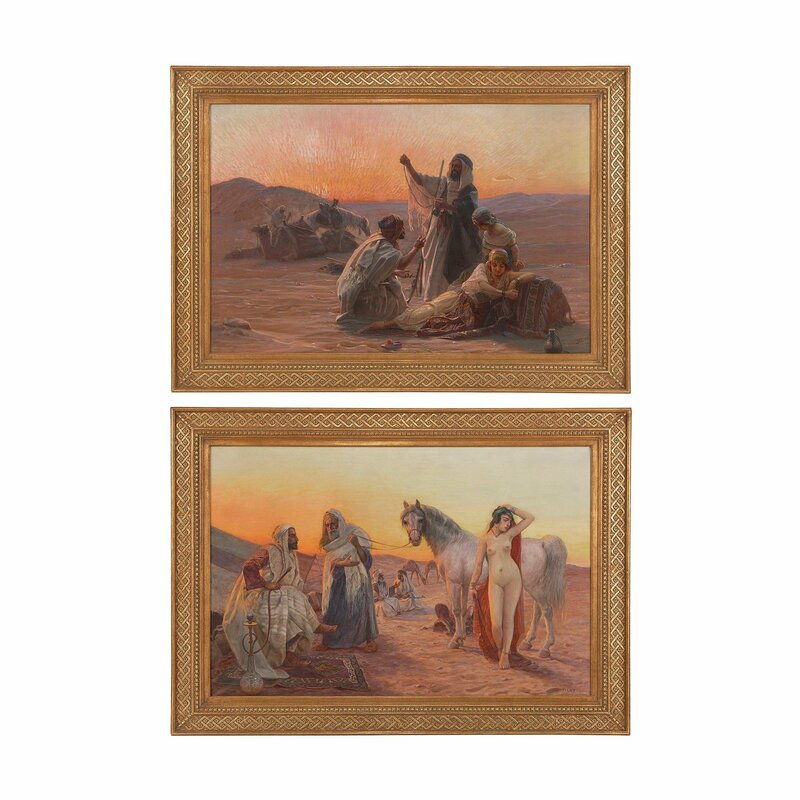 Both oil on canvas depicting a group of Bedouin, painting one signed and dated lower right 'O. 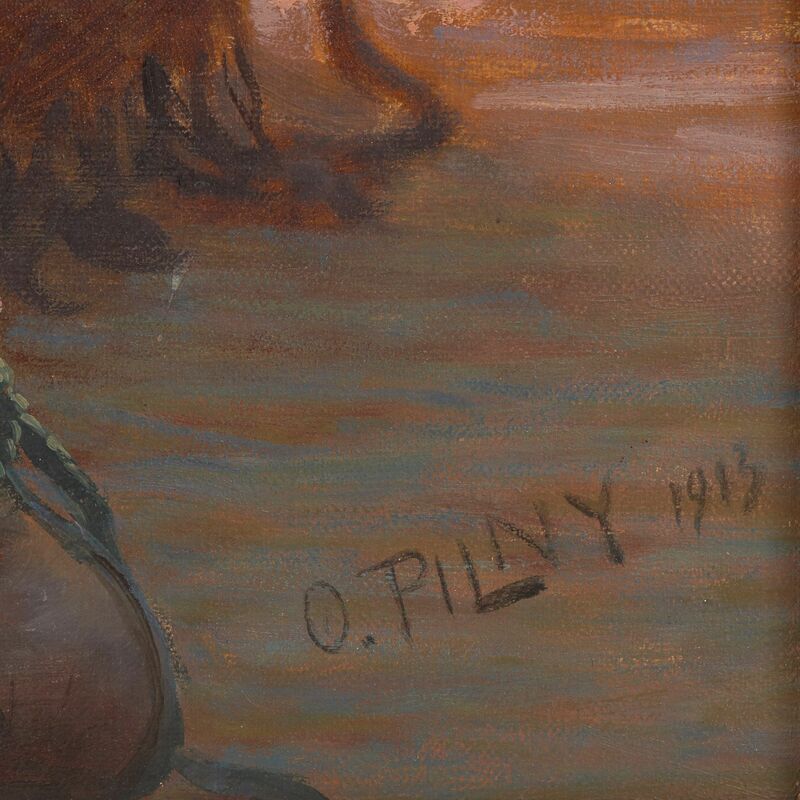 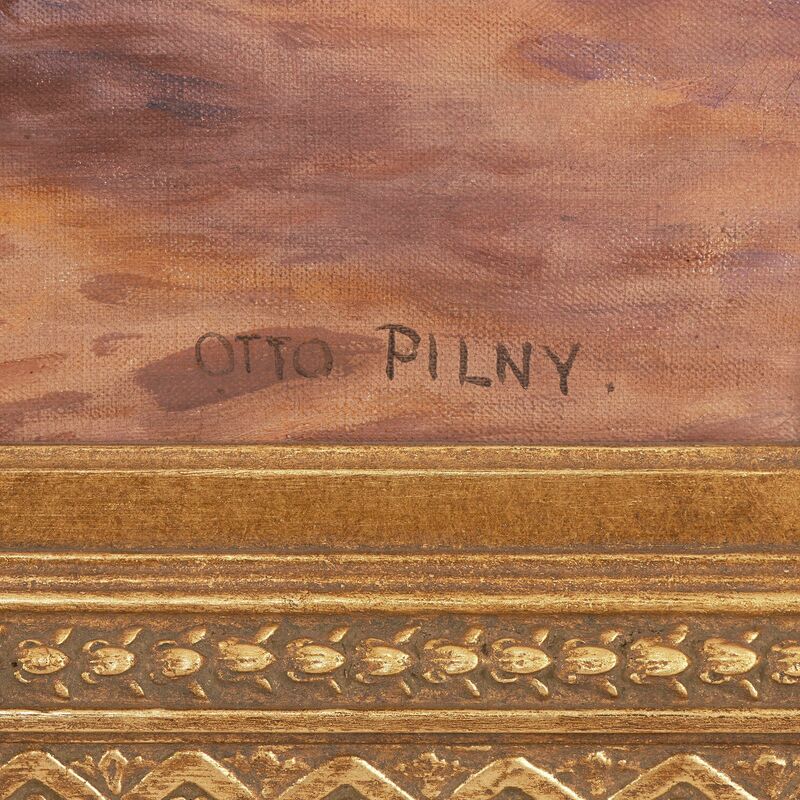 PILNY 1913; painting two, signed lower right 'OTTO PILNY'.